Combine the water, brown sugar, salt, and the 3 Tbsp. 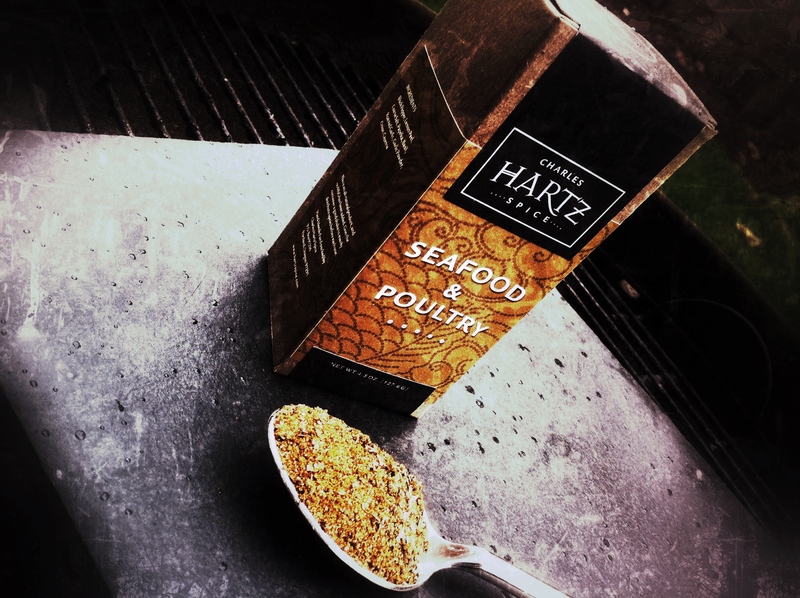 Hartz Seafood & Poultry Seasoning in a large pot. Bring to a boil then remove from heat. Add the 1 bunch of thyme, 1 bunch of rosemary, 6 garlic cloves sliced, and the zest from the 4 lemons. Mix well and chill completely. Once the brine is cold, add the turkey and brine for about 10 to 12 hours. Remove the turkey, rinse off and pat dry. Stuff the turkey with the 1 bunch of thyme, 1 bunch of rosemary, yellow onion, garlic cloves, and the lemon chunks. Drizzle the chicken with olive oil and sprinkle the 1 Tbsp. black pepper and 3 Tbsp. Hartz Seafood & Poultry Seasoning all over. When the coals are hot, arrange them on either end of the BBQ to cook indirectly. Place the turkey breast side down for 1 hour. Flip the turkey over so the breast side is up and drizzle with one of the lemons that are cut in half. Cook for about an hour more or until the internal temperature is 160 degrees F.
Remove the turkey from the grill, drizzle with another lemon, then cover with foil and allow to rest for about an hour. Cut the turkey off the bone and place on a platter, squeeze the last lemon over it and serve.